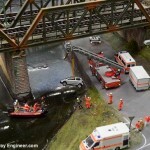 Model railways aren’t just indoors, there’s also the the outdoor / garden variety. 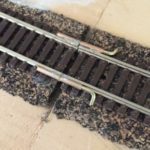 On Saturday 11th April, the 2015 National Garden Railway exhibition took pace at Peterborough Showground showing all that’s best for garden modellers. 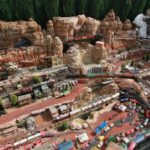 Garden model railways are bigger than indoor models, running on tracks of 0 or 1 Gauge – 32mm or 45mm gauge – and run using live steam engines but ignoring their size they still hugely popular as evidenced by the crowds that attended the show but that doesn’t make them any less popular. This really doesn’t do the show justice, particular the layouts attending which included Dixon Green and Saed y Parc, Dobson’s Bridge, Ffuglen Station on the Ffestiniog Railway, Fiddler’s Green, Hampton End and Hampton Halt, Heritage and Phurcombe Hall, Hopfields, Kew, Bridge East, Modular 16mm Layout, Rhydypenderyn, Ridgmont, St. Gennys, Tor Halt, Walmer Bridge, Waterfield Hall Estate Railway and Whiteleaf Light Railway. But layouts were just part of the exhibition. 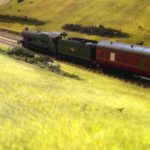 There were also competitions, junior modeller activities, member-to-member sales and help and advice sessions from Brian Dominic, Malcolm Wright, Jon Mead and Tag Gorton taking place. 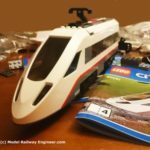 Suzanne Bradley at Railmags.org attended and here’s her report. All busy: 3.15pm on set-up day, things starting to happen, traders setting up stalls, hoping for a good day of trade on the following day. Opening time on Exhibition Day, 11 April 2015. Visitors queue up waiting for the main hall doors to open at 10am and to see all the exhibitors, trains, railways and accessories on display. Amongst the 90 trade stands and 17 layouts attending was this 1:12 scale model of a 15 inch gauge estate railway, the Whiteleaf Hall Estate Railway. 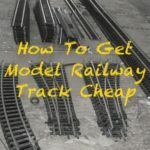 Model railways aren’t cheap, especially garden variety but they needn’t cost as much as you might. 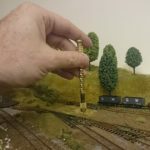 Fiddlers Green – pictured here – waved the flag for those proving you don’t have to spend a fortune to have a 16mm scale layout. And that’s it for National Garden Railway Exhibition until next year.